I was down with a really bad fever over the weekend, caused by a raw and inflamed throat. I traced it back to having had extremely hot soup, at which point I had scalded my throat and caused this stupid thing. My throat’s still quite raw, but not as bad as it was on Friday. So since I was feeling slightly more human today, I thought to make dinner for R and myself as a thank you of sorts for taking care of me over the past few days. I need to start planning my photography better… especially with a hungry husband around, rushing me to eat and thus taking away my styling time. That’s not entirely fair, I’ve also just really fallen out of practice and have gotten lazy. 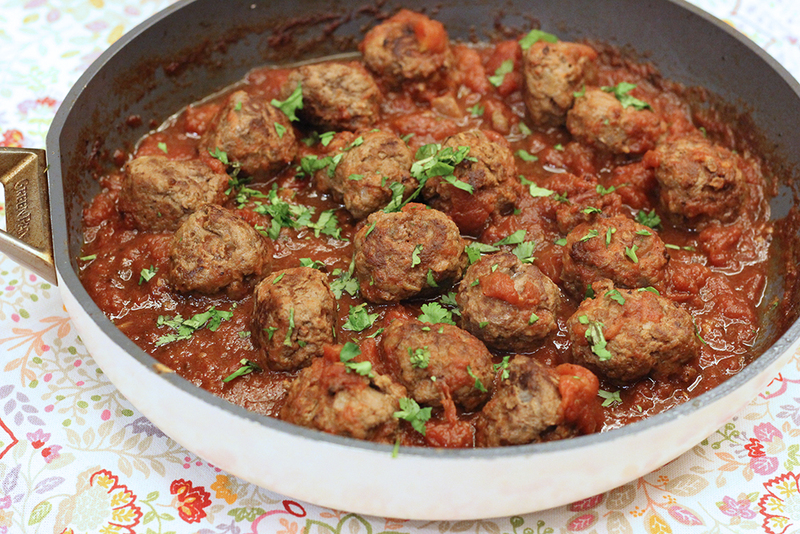 I assure you though, the recipe may be simple, the photos may be crap, but the food is good! 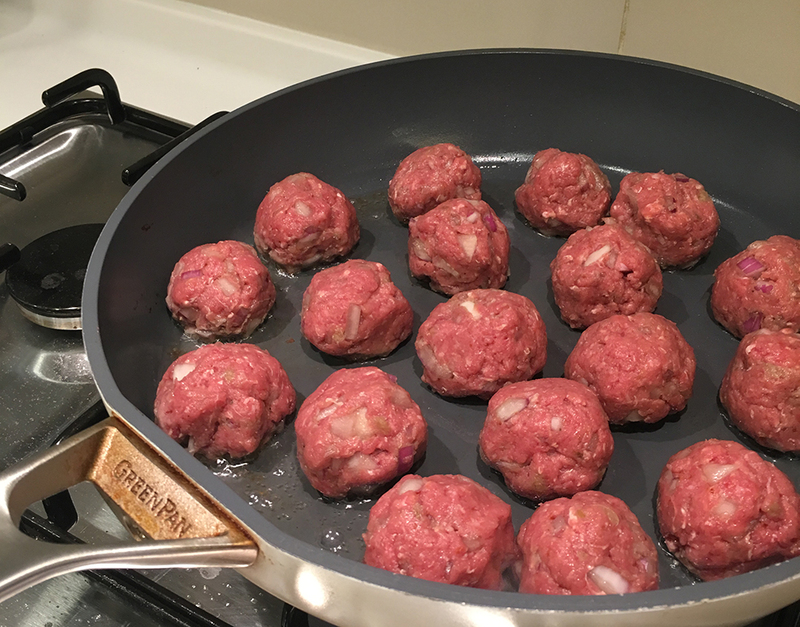 Heat the olive oil in a large, nonstick pan, add the meatballs and cook in batches until they’re all nice and browned all around. Remove from the pan and add the remaining crushed garlic, ginger and spices and cook in the oil and meat juices for a while. 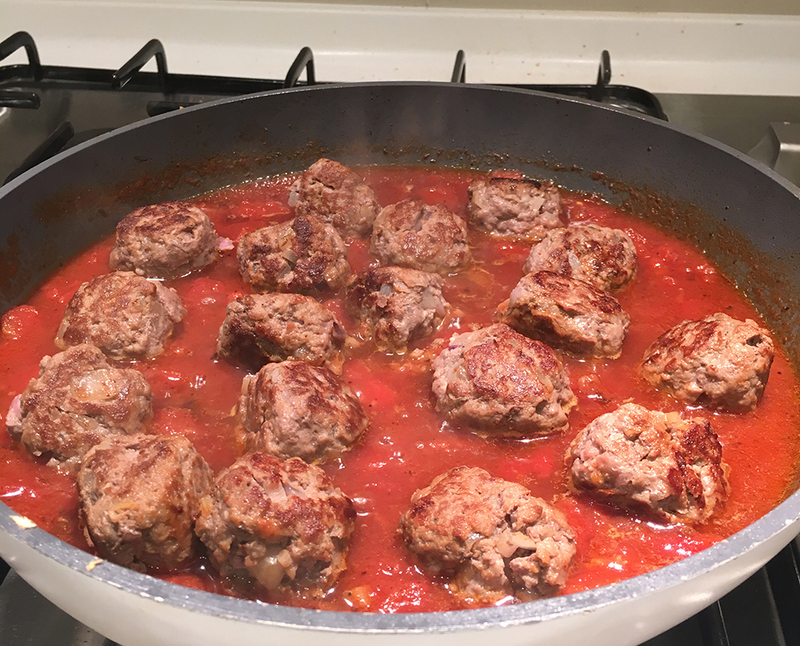 Add the tinned tomato (with the liquid) and chicken stock to the pan and allow to simmer for 10 minutes, then add the meatballs back in and cook for 20 minutes. Season well. Place the couscous and butter in a small-medium heatproof bowl, pour the boiling chicken stock and lemon juice then cover the bowl with clingwrap and leave for 10 minutes. Fluff the couscous with a fork, stir the coriander and feta through and serve with the mealtballs.